A California state lawmaker has proposed sweeping bus safety reforms recommended by federal officials who investigated a fiery bus crash in Northern California that killed eight people including five Los Angeles area high school students who were on a college tour. According to a news report in The Press Enterprise, Senator Ricardo Lara, a Democrat from Bell Gardens, has introduced legislation that requires charter bus operators to conduct safety briefings and to have labeled emergency exits like those on airplanes. Lara has said he hopes these mandates will provide bus passengers a higher level of safety and an opportunity to survive such crashes. In the April 2014 crash, after their tour bus collided head-on with a FedEx tractor-trailer, dozens of students heading to a college tour struggled to escape the burning bus. The collision occurred in Orland, 100 miles north of Sacramento. The National Transportation Safety Board (NTSB) said poorly-labeled emergency exits and lack of safety instructions required by bus company policy contributed to the chaos and injuries. The NTSB urged federal regulators to adopt making buses safe for passengers as planes and trains, but agencies have been slow to react. Lara’s bill, SB247, so far, only mandates pre-trip safety briefings on buses, but he plans to add provisions to the bill adopting all of the NTSB’s safety recommendations. They include requiring fire-resistant materials, black box-style data recording devices and second doors that double as escape hatches. Separate investigations by the NTSB and California Highway Patrol found that the Orland crash was caused by the FedEx driver veering across the interstate median and into oncoming traffic. Investigators did not determine why the driver lost control although they initially believed that the FedEx driver may have fallen asleep at the wheel. As California bus accident lawyers, we are 100 percent behind the senator’s efforts to make bus travel safer. 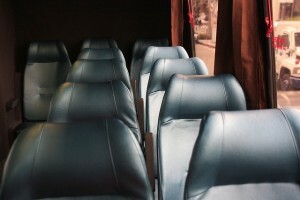 Compared to air and train travel, bus travel still remains much more hazardous because of the failure to regulate different tour bus companies. It took a number of tragic California bus accidents for state and federal officials to wake up to the fact that there was virtually no oversight of tour bus companies. If you or a loved one has been injured in a bus accident, please make sure that your legal rights and best interests are protected by contact a renowned law firm that has a successful track record of handling bus accident cases.